Last night on “Jack’s Garage,” Claire B. Lang announced that Austin Cindric will pilot the No. 60 Ford Mustang in the NASCAR XFINITY Series (NXS) season kickoff in Daytona. Chase Briscoe and Ty Majeski were also in the running. 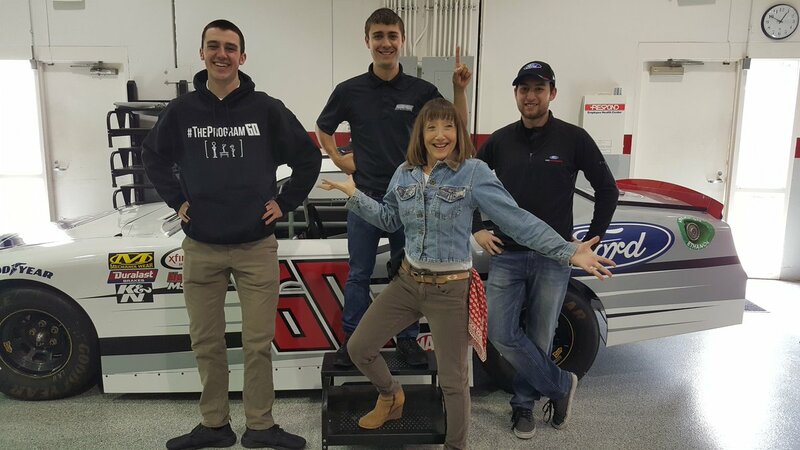 All three young NASCAR Talents are sharing the ride for the 2018 season. Roush Fenway Racing decided to pick the season opener driver in a unique fashion. Briscoe, Cindric and Majeski drew logos out of the iconic “Jack hat” to find out who the lucky driver was to be. Lang will give fans an exclusive interview with the chosen driver, Austin Cindric during the weekly segment on SiriusXM NASCAR Radio (Channel 90). “Jack’s Garage” runs each Wednesday night at 7:30 p.m. ET with the award-winning host during her popular “Dialed In” show.